Belgium. 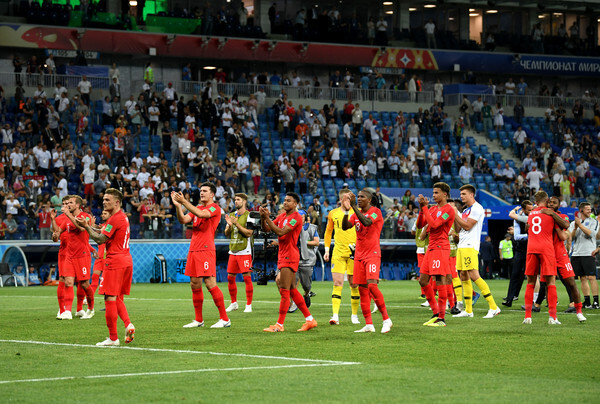 England has a solid squad to be honest, fleet-footed forwards and a very clinical finisher, arguably the best in the world in Harry Kane but to what end? Colombia had a false start, early red card to Carlos Sanchez against Japan took the sails out of them and they lost, they proved their mettle against Poland and shipped three past the Europeans before dumping hapless Senegal out of the tournament with another effective win. England probably lost to Belgium on purpose, choosing to go down the easier route where they would avoid Brazil, France, and Uruguay, but can they beat Colombia? The opening day win for England was somewhat fortuitous, Ben Amor of Tunisia gifted them a corner kick when a strong clearance could have ended the game in a draw, they did ship six past Panama in their second game but the fact that they conceded against such weaklings showed how susceptible they are, take nothing away from them, they deserve all the credits and their manager seem to be the best they’ve had in a long while but they won’t find Juan Quintero, Juan Cuadrado and Radamel Falcao interesting today. How will the lineup? England will set up to feed Harry Kane through the flanks where they expect Raheem Sterling and Jesse Lingard to operate, the return of Dele Alli means there’s trouble for Colombia to deal with in the middle, the discipline of their full-backs matter, if they’re caught out, the whole nation will be hurt.